What size of file should one use? It is in principle simple: a triangular file should be chosen that is big enough so that as the teeth are sharpened, the file can be rotated in between teeth and all three sides of the file will be evenly worn down. So one measures the tooth depth and looks to the width of the file. The file's width should be a hair under double the tooth depth. If it is particularly important to one to have a good view of the teeth while filing, one should choose a smaller file, with sides just a little wider than the tooth depth. The file will wear out faster, but one will have better control over the work. Good light also is very important for this kind of work. A side benefit is that this will be a good test to see of one's eyesight or eyeglass prescription is good! If one's eyes tire quickly, it is a good indicator that all is not as it should be! What is the difference between normal three-sided files and saw files? Regular three-sided files have sharp corners that cut a hard angle. Saw files have corners that are ever so slightly rounded, so as to maintain the round gullet between the saw's teeth as one files them. This is to help prevent cracking the base of the teeth, which is easy to do if one does not work carefully and precisely. Because of technical issues in the manufacture of saw files, there is a limit to how small the files can be made. 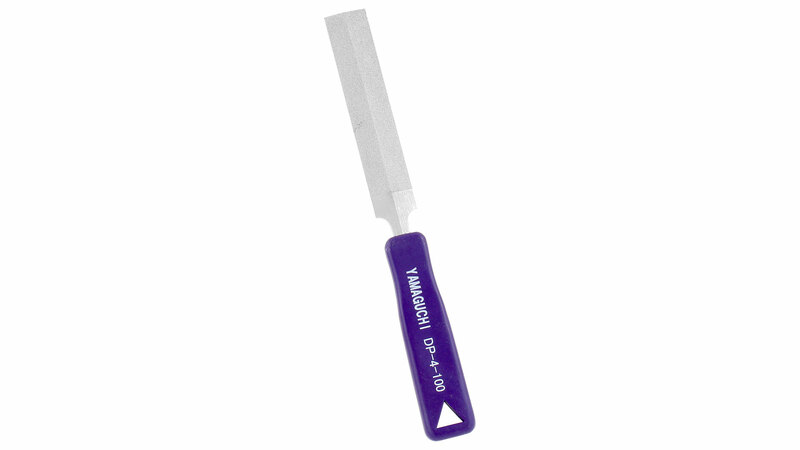 Therefore we offer a small needle file to sharpen saws with extremely fine teeth. An alternative for very fine-toothed Western type saws is to use a small Japanese sword-form file, which also has a lightly rounded corner. But one must then file both the tooth's front edge and back separately. This in contrast to using the proper triangular file, which will file the front of one tooth and the back of the previous tooth on the same stroke. In the tables below, we provide a list of saws we sell for which each file is recommended. But of course the list is not exhaustive and multiple combinations are possible. All files delivered without handle. Handles you will find here! These saw files are designed to sharpen traditional Japanese saws. They are also good tools for working various very fine-toothed European saws and for many other types of fine filing work because of their narrow profile. Produced in tooth size 2, saw files with teeth on both sides are designed principally for ripcut saw blades. With crosscut saws there is the danger, if one is not very careful, that you can cut into the backs of the close-set neighboring teeth. So for these saws we offer Japanese files with teeth on one side which have been specially made for this job. These files are made in Kure City, Hiroshima Prefecture, Japan. 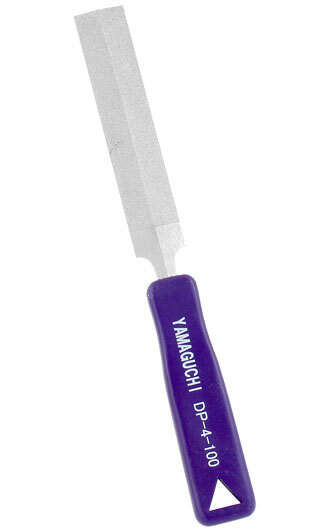 This type of file is mostly recommended for filing crosscut saws including the crosscut edge of Ryoba saws. You will soon, or possibly already have noticed that single-sided files cost a fair bit more than double-sided files. This is because these are highly specialized tools for which there is little demand and so they are produced in small lots by special order only. Inevitably this makes them more expensive. 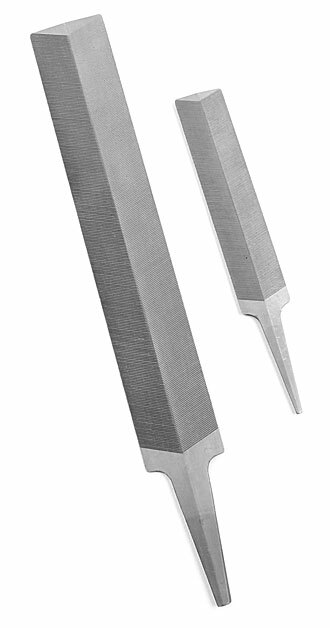 Diamond Feather Edge File Hiebe beidseitig These files are distinguished by the incredible hardness of the diamond cutting surfaces. Unlike many of our files, these come with the handles installed as in the photo. SOMAX saw sets have a plunger width of 2.2 mm, suited for small and medium sized blades. Saw-set Pliers for Two Man Crosscut Saws This traditional tool is suitable for jack saws and larger saws such as crosscut saws with a blade thickness of up to 1.5 mm. The knurled screw on top lets you set the stop for the tip of the tooth. This determines the position of the tooth where the anvil makes contact. 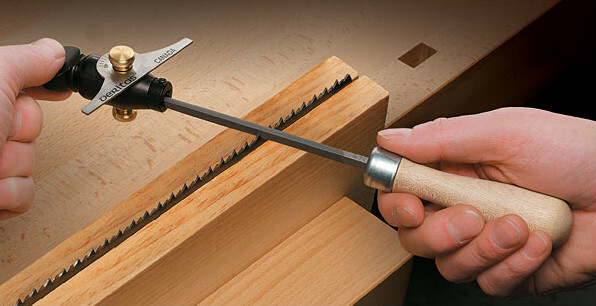 The knurled screw at the top of the handle is for adjusting the amount of saw set. 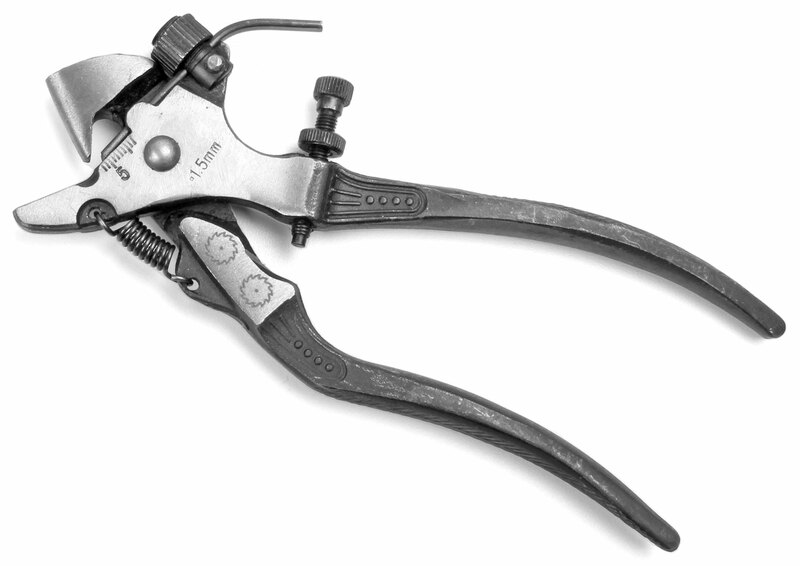 These saw-set pliers are less suited for saws with teeth under 4.2 mm (6 TPI). 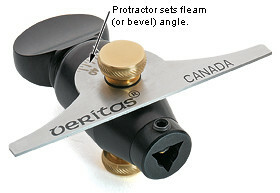 VERITAS Saw File Holder Not only does this guide provide a secondary grip for your saw file, it also helps you control the angle of the file as you sharpen, using the eye’s natural ability to judge parallel and level. It has a rotating collar for setting a positive or negative rake angle up to 30°, and a 76 mm (3 inch) wide protractor to set the fleam (or bevel) angle up to 45° left or right. All you need to do is keep the edge of the protractor parallel and level to the blade, something easy to do by eye. Because the angle guide doesn’t limit the movement of the file, you learn to control it manually, gaining the experience needed for freehand sharpening. 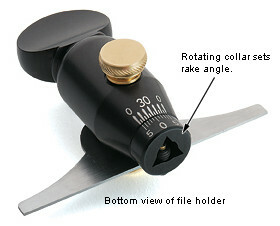 Measures 67 mm (2-5/8 inch) long overall, with an anodized aluminum body, a stainless-steel protractor, and brass thumbscrews for locking the rake and fleam angles. The protractor scale should only be used for approximation as it shows a slight right angle deviation. However, together with the workflow these small inaccuracies have no impact on sharpening and should be tolerated. Anvil for Saw Setting This anvil is made to set saw teeth in the traditional Japanese way by hammering. It is made from a piece of railway track. 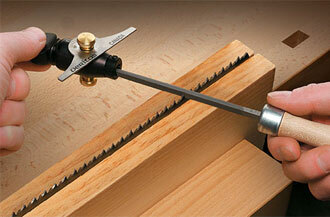 The longer an shorter rounded edges correspond to the correct sharpening angle of the saw teeth. 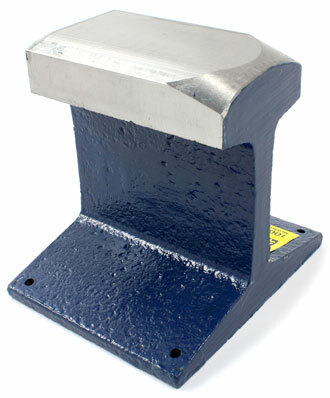 The blade is placed flat onto the anvil, teeth protruding slightly across the rounded edge. Each second tooth is then tapped into position with a hammer. The blade is is then turned and the process repeated vice versa.